Archivally Matted Portfolio Prints | Professional Quality...on a Budget! Archivally Matted Portfolio Prints | Professional Quality…on a Budget! woman whose home Sara was allowed to photograph as part of a larger project. 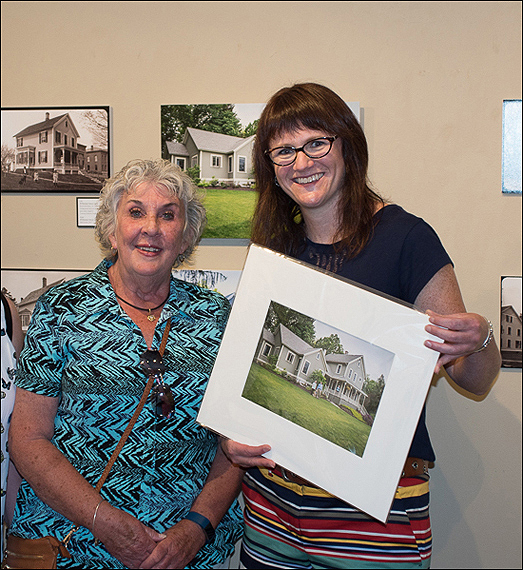 Our friend Sara Lyons (on the right above) recently presented a proposal to Historic Northampton, a regional historical society near where she lives in western Massachusetts. 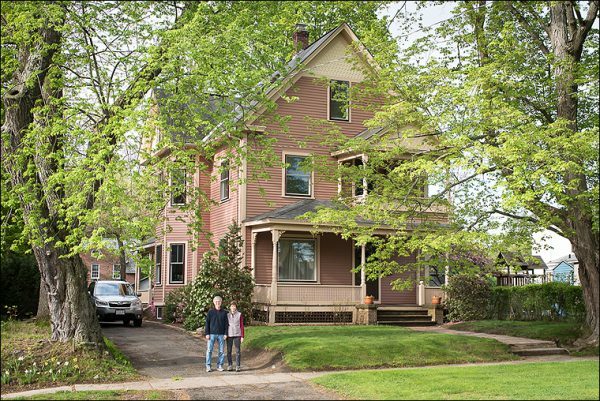 Her proposal involved researching information on local homes in Northampton that had been photographed in the early 1900s by the Howes Brothers, itinerant photographers who made a living by photographing residential properties and then selling the resulting prints they made to the then-current owners. Photographer Sara Lyons at work. 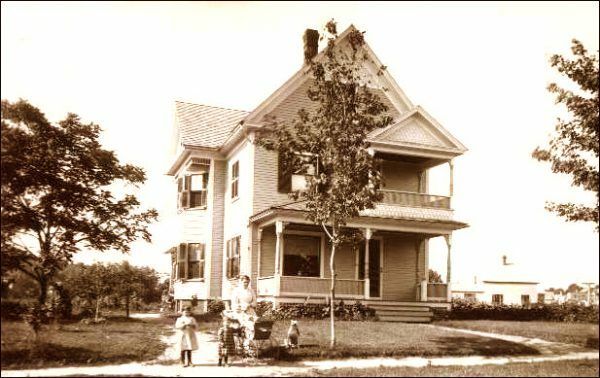 Sara’s proposal involved contacting the current owners of the same homes photographed by the Howes Brothers over a hundred years ago in order to create new “home portraits” based on the same camera angles & positioning of occupants as they appeared in the photographs from the early 1900s (see pix above & below). …all of which was accomplished on a VERY tight budget! How was she able to archivally mat & mount her work—to museum standards!—without going over budget? Well, she turned to the experts at Archival Methods! 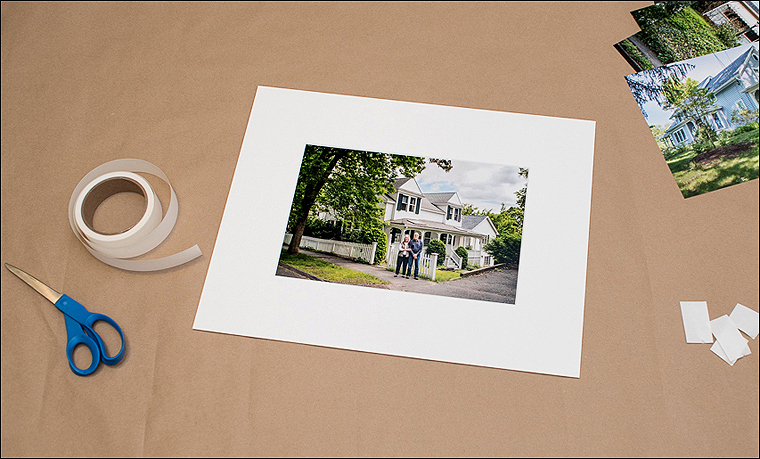 Sara gave archivally matted portfolio prints to each homeowner (more on that below!). Before we dive into the main subject of this blog—how Sara easily (& economically!) 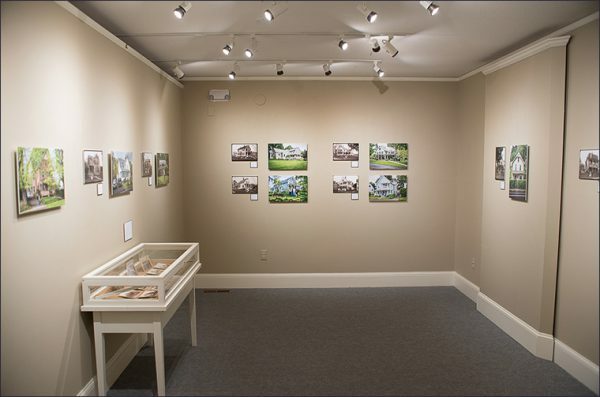 assembled her archivally matted portfolio prints she was giving to each homeowner—let’s take a quick look at her exhibition. 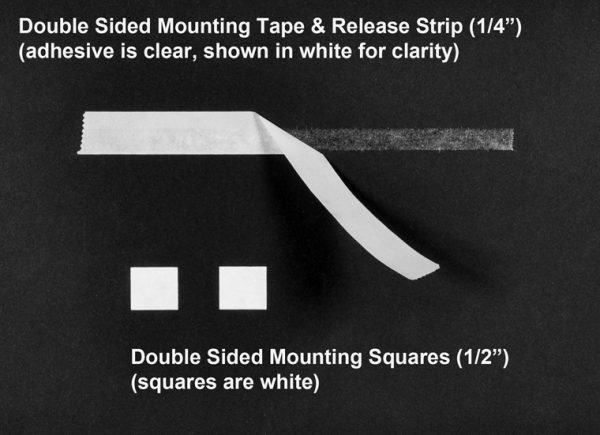 Archival Methods’ Acid-Free Foamboard / Mounting Tape / & Double Sided Squares if you’re on a tight budget! Since Sara had a VERY limited operating budget to work with—and her exhibition was only temporary—the decision was made to forego archival matting & framing of the prints in the show itself. Instead, the professional printer Sara used for making her prints “surface mounted” them onto foamboard as part of the services they provided. 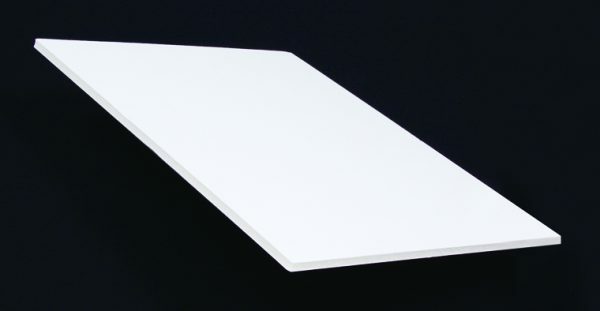 Left Image: Acid-Free Foamboard comes in 17(!) 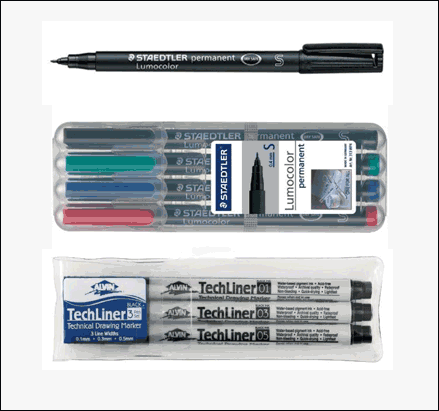 convenient pre-cut sizes. 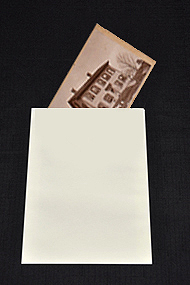 and easily mount items when archival matting and mounting practices are not called for. 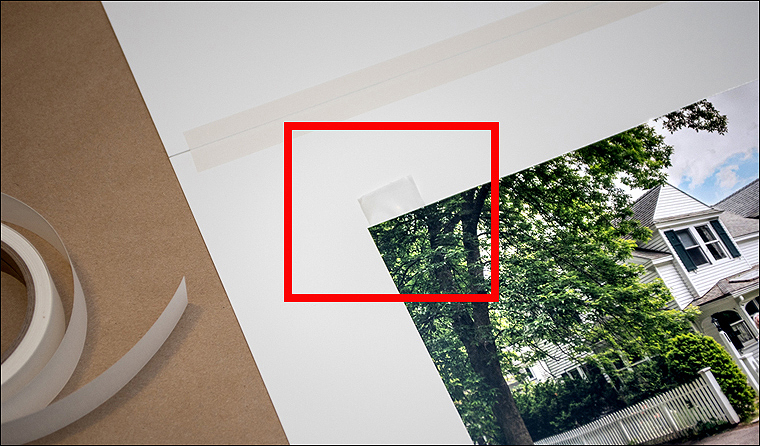 If YOU find YOURSELF operating under similar budgetary or time constraints, you can do your own surface mounting using Archival Methods’ Acid-Free Foamboard and easy-to-use Mounting Tape and Double Sided Squares (see images above). 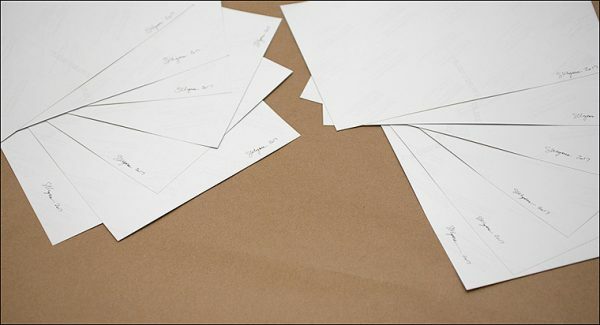 While not intended for long-term archival presentation, or with valuable originals, these quick & easy solutions will make your work look professional when matting and framing is just not in your plans. 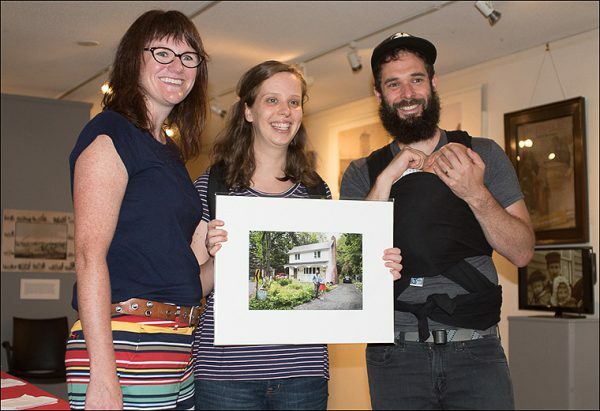 Where Sara knew she DEFINITELY NEEDED to direct her budget was towards the archivally matted portfolio prints she assembled for presentation to the families that had allowed her to photograph their homes (see image above). For this she turned to Archival Methods, as mentioned, for museum-quality solutions that would NOT break the bank! Top Image: Pre-Cut Exhibition Mats are an economical choice when you’re looking for museum-quality presentation / portfolio mats. Bottom Image: Sara’s Pre-Cut Mats exactly as she received them (she shot this image! 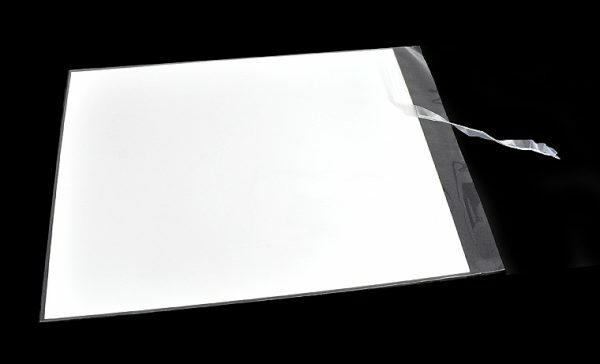 ), expertly packaged to avoid any damage or bumped corners. 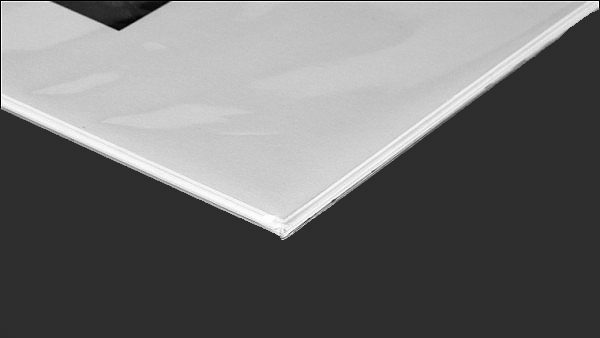 Pre-Cut Exhibition Mats are made of the same acid-free 100% Cotton Bright White Museum Board that major galleries & museums use EVERY SINGLE DAY! Yet since they are expertly cut & assembled by Archival Methods in-house—in 24 standard sizes in packages of five mats each—we can pass the resulting “quantity discount” savings onto Sara (and to YOU!). As mentioned, all of our Pre-Cut Exhibition Mats come pre-assembled, meaning that they were delivered to Sara (and to YOU!) already expertly hinged with acid-free Linen Tape (see red box above). 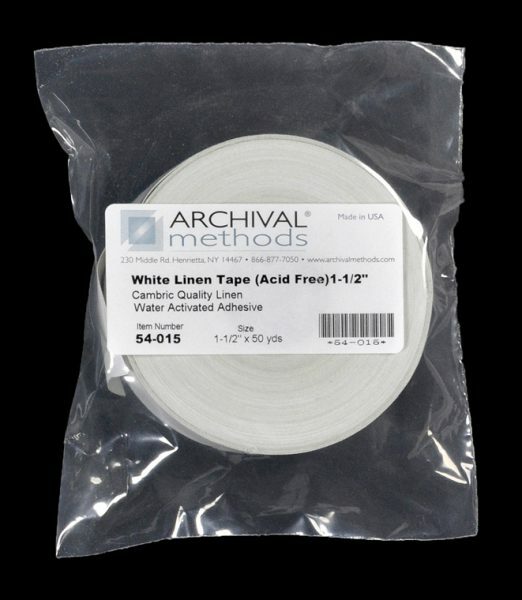 Again, this Linen Tape is the EXACT SAME material used everyday in galleries & museums worldwide. 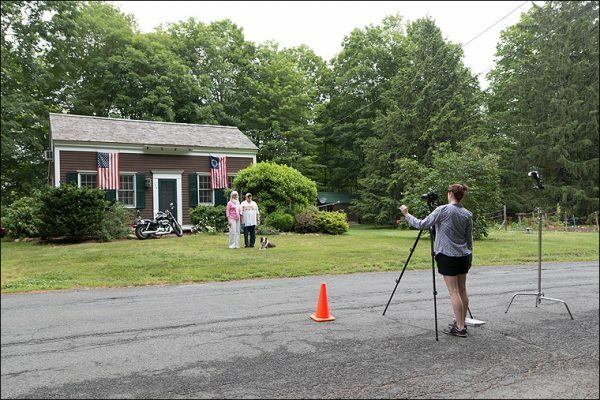 Since the families that allowed Sara to photograph their homes were going to receive archivally matted portfolio prints, Sara needed to sign each of her photographs. 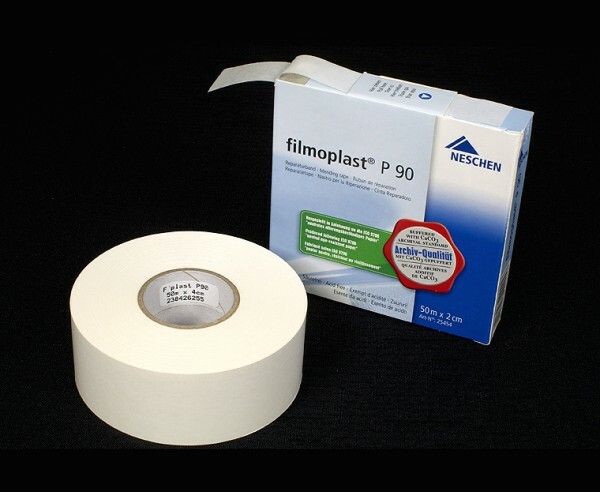 Easy-to-use archival Filmoplast P90 Tape comes in two widths for hinging both smaller & larger prints. It also comes in a “P90 Plus” version, when an even stronger hinge is required! 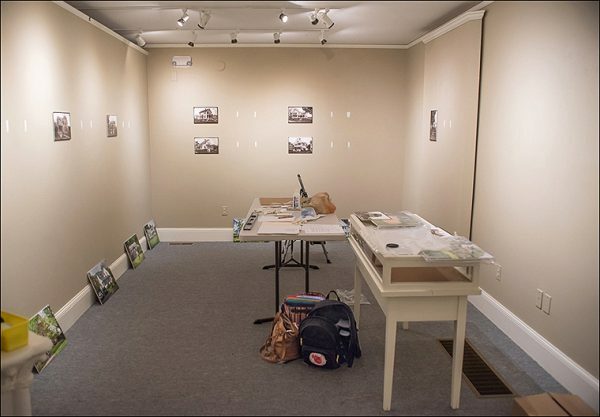 When the time came to mount her prints into her Pre-Cut Exhibition Mats, Sara used acid-free Filmoplast P90 Tape, which is the PERFECT archival solution for effortless and PROFESSIONAL hinging! To use Filmoplast P90 hinging tape, as Sara did here, simply position your photograph / artwork / or document in its mat so that when closed the image lines up right where you want it within the mat’s window, then open the mat and place a 1/2″ to 1″ piece of tape UNDER the UPPER corners of your piece with the adhesive facing UP to adhere to the BACK of the print. 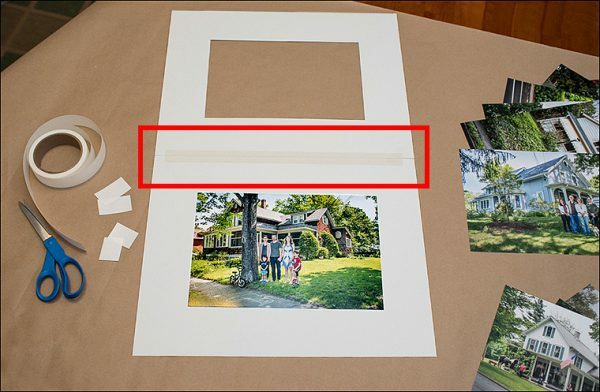 The amount of tape extending beyond the edge of the print should be no greater than the width of the tape itself (see image above). Next, simply place a second short piece of Filmoplast P90 OVER the tape that extends past the border of your image. The adhesive side of this second piece of tape should be facing DOWN to secure the tape below it to the mat board. 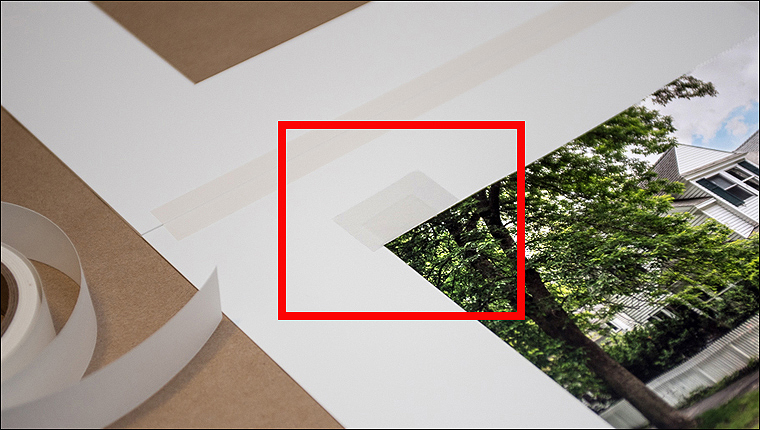 Yes, it’s THAT simple to professionally hinge your archivally matted portfolio prints—exactly the same way frame shops and major galleries & museums do every single day! With her prints signed with the right pens / archivally presented in Pre-Cut Exhibition Mats / and mounted with acid-free Filmoplast P90 Tape, it was ALMOST time for Sara to give her matted portfolio prints to the families had that allowed her to photograph their homes (see image above). Since Sara had matted and mounted her photographs to “professional, portfolio level” standards, something she definitely DID NOT want was for her elegant images & mats to get inadvertently messed up with fingerprints or other accidental damage. In the image above, the beaming new owner of one of Sara’s photograph holds it on either side (see red boxes above), yet this is NOT a problem, as the final thing Sara did was to place each of her matted portfolio prints in archival Crystal Clear Bags (see images below). on the short edge of each bag that helps to keep moisture & environmental contaminants away from your piece during both storage & everyday use. 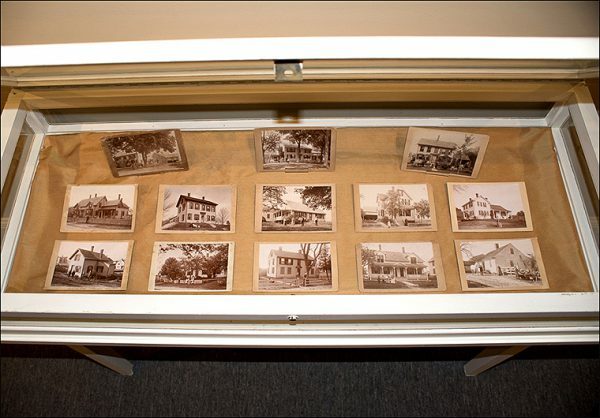 arrangements for these photographs she had borrowed for her show to be archivally organized & stored after the exhibition ends (see below). 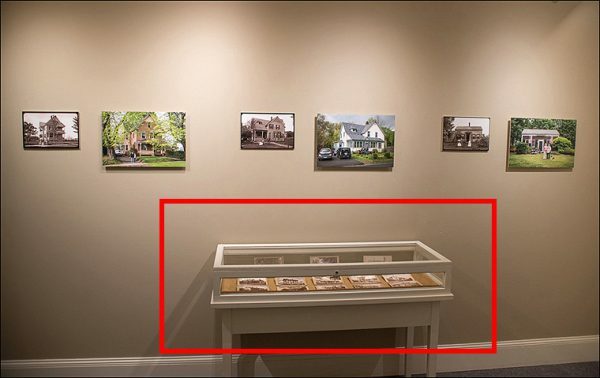 In addition to giving “portfolio quality” matted prints to each of the current owners of the homes she photographed, Sara has also made arrangements for the original 5 x 7-inch Howes Brothers’ photographs that she had borrowed for inclusion in her exhibition to be archivally stored when the show comes down. This is also quite simple to do, as each photograph will be removed from the glass display case and placed in an acid-free 5 x 7-inch Open-End Envelope and then stored in an archival (and economical!) Metal Edge Hinge Lid Box, which is available in a wide variety of sizes for any photographs / snapshots / or collectibles YOU may have. 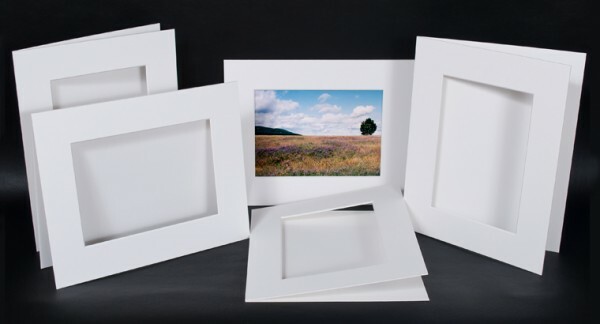 you’re matting a single piece / your personal or professional portfolio / or an entire exhibition! 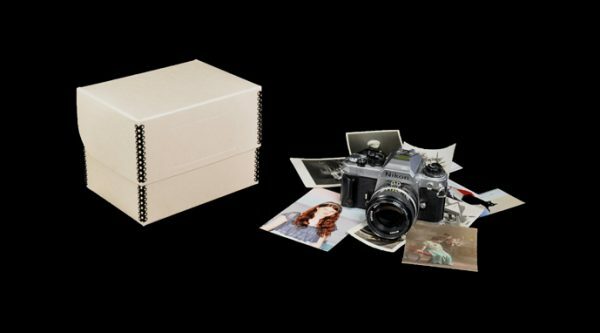 So, as we’ve seen, Archival Methods has museum-quality solutions for even the TIGHTEST budgets, all of which will allow you to present and store whatever YOU may have in the finest archival materials available anywhere—from a single piece to an entire portfolio or show. If you’d like to learn more, please check out our wide range of blogs and short videos, and please feel free to give us a call or send us an email with any questions you may have. Sara did, and she’s ALL SET! 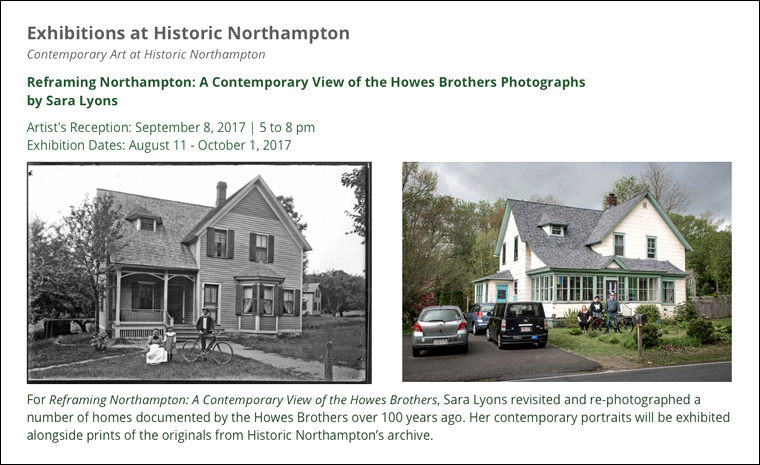 For more information on Historic Northampton, please click here. For more information on the Howes Brothers, please click here. For more information on photographer Sara Lyons, please click here. To see our blog on 5 Tips for SAFELY Writing on Photographs & Snapshots, please click here. And finally, to see our blog on Your HOME as Family History & Genealogy Resource, please click here. Thank YOU for the comment. Much appreciated!